Wow I would be creeped out if i ate that then fouund out what its name is! OMG!!! Unbelievable!!! It's not butter!!! I must buy it right now!!! 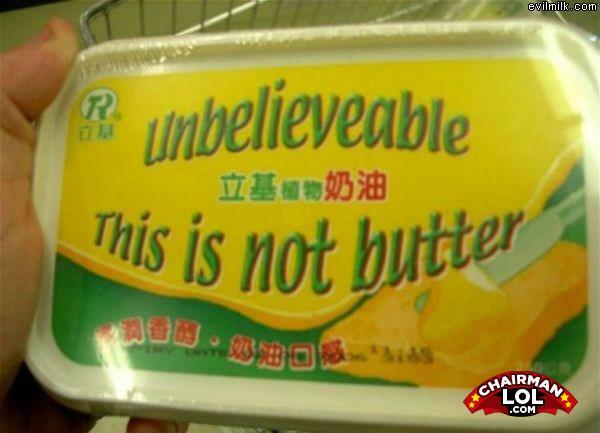 I have never seen anything in front of my eyes other than butter.... What a miracle!